There’s no argument that root canals have a reputation that’s often equated to pain. However, as Dr. Vickii Bingham-Lester of Bingham-Lester Dentistry tells her Crofton area-patients, the root canal treatment does not cause the pain. Instead the pain is from the infection in and around the tooth. The root canal is the treatment that clears the infection, stops the pain, and saves the tooth. 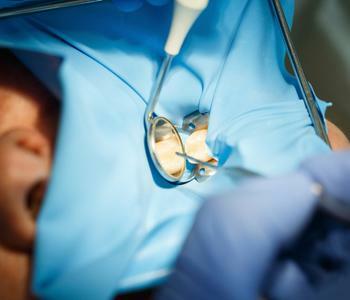 It is helpful to understand when a root canal is necessary and the procedure to complete it. Dentists will recommend a root canal when the inside of the tooth is damaged, often from a previously undiagnosed cavity or one that hadn’t been treated. Because the infection is deep inside the tooth, it can cause intense pain. The only way to stop the pain is to remove the infection. To eliminate the infection, the tooth’s pulp, including the nerve will be removed and the area will be completely cleaned. Next the tooth must be filled, sealed, and capped with a dental crown to protect the remaining tooth. Most patients have an idea that something is wrong. The infected tooth may present with incredible and constant pain, or the patient may notice a flash of sensitivity when drinking something hot or cold. They may notice that the tooth feels weak when biting on something hard. Other symptoms include visible darkening of the tooth, inflamed or sore gums, or a prolonged sore. In rare instances, a patient will not have symptoms and only learn of the infection following an x-ray during a regular dental checkup. If you have tooth pain, don’t put off dental attention. Delaying the treatment won’t lessen the pain, in fact it’s likely to get worse over time. Call the office of Bingham-Lester Dentistry to schedule a visit.